These six black and white photographs show an exhibit from September 1964 at the Menninger Museum. The exhibit was made possible by a grant from the Weyhauser Foundation, Inc. of St. Paul, Minnesota. 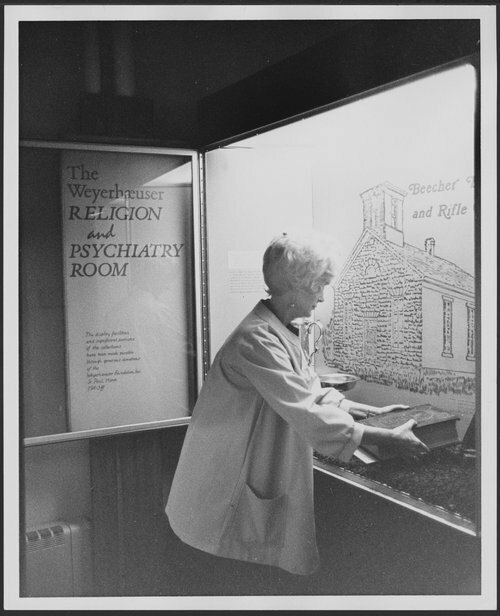 Religion and psychiatry exhibit at the Menninger Museum in Topeka, Kansas - Carolyn Collier is setting up the Religion and Psychiatry exhibit.